This article is in continuation with a previous post; and a part of my Spiti Valley Travelogue. Our plan on Day 1 was to reach Sarahan; but could only make it to Narkanda from Delhi. It was none the less a fun drive that I have written about further in the article. Please click on the link below to read previous part of this travelogue. I do not really remember if there was ever a time when any of my trips actually started as per the plan. The first and the last day of the trip usually involves long traveling hours; so I always try to get an early start from Delhi so that we could reach our destination well in time. That however never happens; and I always end up starting a couple of hours late than the actual plan. This time however, the exact opposite happened. I think it was the first that I started the journey as per the original plan. I knew that going straight to Sarahan from Delhi will involve some long traveling hours so the idea was to start by 2 AM from Delhi. And surprisingly, at around 2 AM, we indeed left my house for our first day of the trip. There is not really much to write about the first day except for that it was a long and monotonous journey. We pretty much drove non-stop on NH1; and made it to Chandigarh by early morning when the sun was starting to come up. 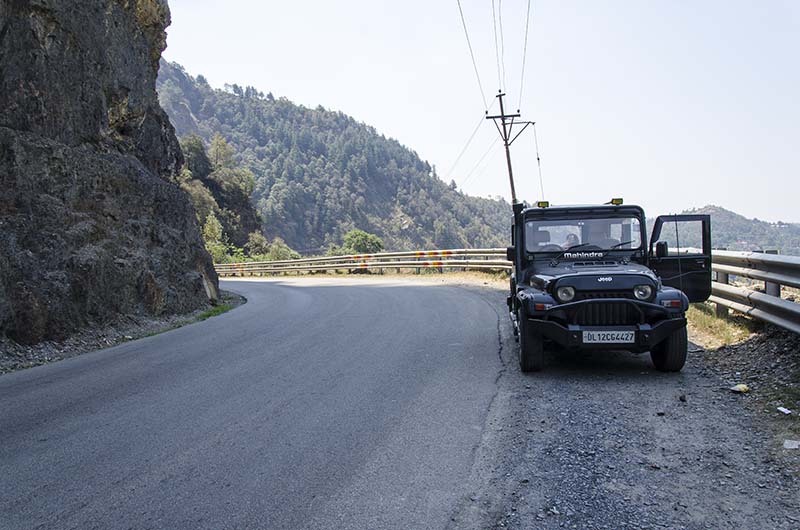 From there, we took the Himalayan expressway and started on our way to Shimla. It had been a while since I have been to Shimla or on the Chandigarh Shimla highway. 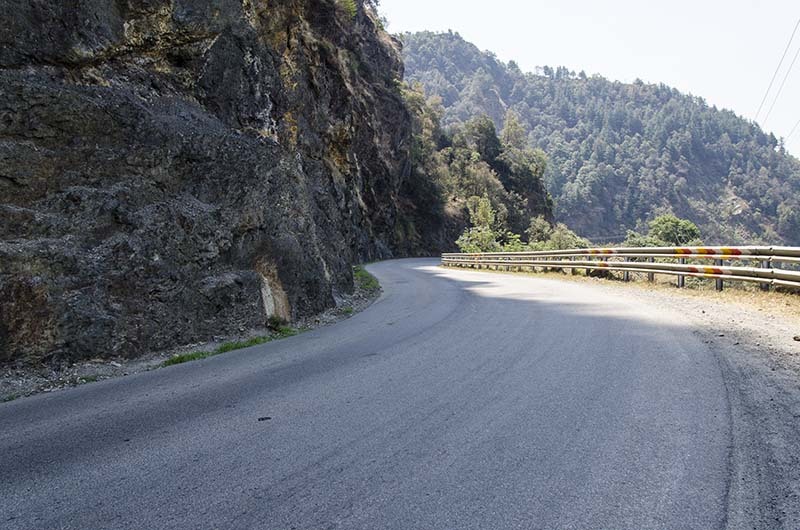 Last I remember, it was a smooth road all the way to Shimla but surprisingly, this was not the case this year. There was road widening work going on between Chandigarh and Shimla due to which about the first 20 kilometers of the road was in a very bad state. Half of the road at several places was blocked and the traffic was really crawling. It took way longer than I had thought but slowly and patiently, we finally made it to Shimla. Our troubles however were far from over. The moment we got closer to Shimla, we got stuck into a traffic jam. A long line of cars lined up behind one another and hence, our speed again got back to a slow crawl. On a different note, this is what I really like about traveling by motorcycles. You do not get stuck anywhere. I think this was the first time when I myself got stuck in Shimla’s traffic because this was the first time I was crossing it in a car. All of the other times, I had crossed Shimla on my Enfield; and no matter how big the traffic jam was, we just rode right through it without any waiting time. This time however, there was no other choice but to wait in the line and move forward slowly, inch by inch. To make matters worse, in an effort to avoid the traffic, I ended up taking a wrong turn in Shimla city and drove straight into a one way road. After what seemed like eternity; and a narrow escape with Himachal police due to the wrong turn, we finally made it out of Shimla; and started on our way towards Narkanda. Now a couple of things happened here on the way. Ever since we started to climb up from Chandigarh, a bike was more or less riding along with us. We were not traveling together but since we were on the same route, we kept crossing that rider a few times. Somewhere along the road I realized that it was actually a girl; and by the way she was dressed and had all her stuff packed, I could make out that she too was on her way to Spiti valley. I pointed out the same to my friend but we both had different opinions on it. While I was sure that the girl was on her way to Spiti valley, my friend found it a bit hard to believe that a girl would be traveling solo like this. Somewhere along the way, we stopped at a place to have some sugarcane juice. That girl too arrived a few moments later and stopped at the same place. My friend and I both noticed her and again the argument started on whether or not the girl was riding solo to Spiti. And then just for the sake of proving my point, and much to my friend’s surprise, I walked up to the girl and asked her. Turned out that I was right and she was indeed riding towards Spiti valley from Meerut. We again started our journey towards Sarahan but by now, my friend had started to feel sick. All the constant turning on the winding road and the increase in altitude started to take its toll. So much that we had to give up on our idea of reaching Sarahan that day and decided to break the journey at Narkanda. Machine for the trip. My Mahindra Thar. We arrived at Narkanda at about 3 PM; a full 13 hours after we started from Delhi. A journey that should not have taken us any more than 9 to 10 hours went over by almost 4 hours, much thanks to the bad road condition between Chandigarh and Shimla; and then the traffic jam in Shimla. Another surprise however awaited us at Narkanda. Much to my surprise, it was not the same small town that I last remembered. It had been a couple of years since I was last in Narkanda and it seems everything had changed in these 2 years. What once was a tiny and peaceful hamlet now had multi storied hotels built there. 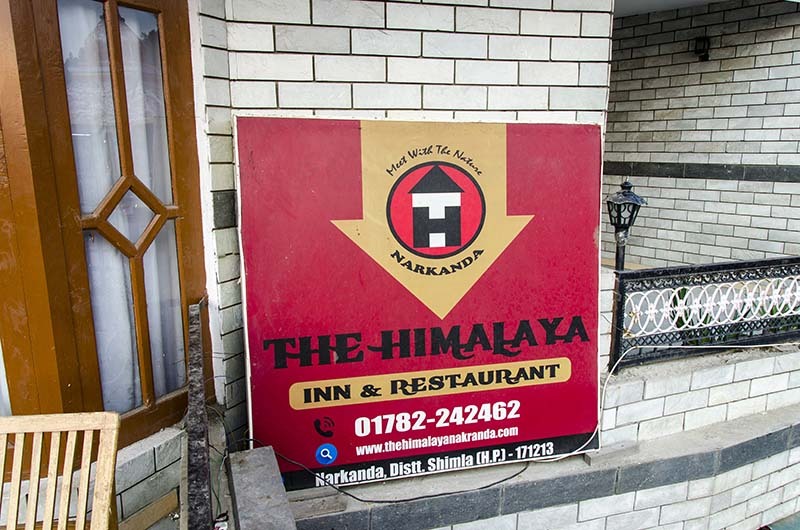 I started to walk around looking for a room in several of the hotels; and then finally decided on staying at The Himalaya Inn & Restaurant. The room was quite large and we paid Rs. 2000 for it. While we were checking in, the same girl rider that we met on the road also arrived there and checked into the same hotel. Her name was Khushboo; and when I told her my name, she recognized me from the blog. She had been following one of the itineraries that I had suggested on my blog and she too was headed towards Chitkul the next day. Thus ended our first day of the trip. I had been to Narkanda about 4 times and had no wish to go visiting any of the places here. Rest of the day was just spent lazing around at the hotel doing nothing. Plan for tomorrow was to go to Chitkul and I knew that it was going to be a long journey; and that we must get an early start from Narkanda. Please click on the link above to read next part of this travelogue. If you have any questions; or need any further details; please feel free to ask in the comments section below; or at our Community Forum; and I will be glad to answer.